The heart of our work is finding you glasses that you will love — both while you’re looking at them and while you’re looking through them. We pride ourselves on our partnerships with unique manufacturers from around the world. As such, we are able to offer an inventory of exclusive and high quality handmade frames in a wide selection of styles, shapes, and colours. Our always-evolving inventory includes frames that use innovative materials such as lightweight titanium and hypoallergenic acetate to ensure comfort and adjustability with no compromise on style. Other design elements found in our collections such as recycled materials and hand-painted details create frames as unique as you are. We use the latest in lens technology when we prepare your glasses, offering lenses that are as thin as possible for more pleasing aesthetics with less visual distortions for the wearer. Our professionals will help you select the best lens for your usage needs, be it a single vision lens for everyday activities or reading, a workstation lens for computer work, or anything in-between. Lenses are not “one size fits all”. Meticulously taking into account many factors including face shape, frame design, and eye surface imperfections, you are provided with the best vision possible through lenses as personal as a fingerprint. Progressive lenses eliminate the line of separation between reading and distance areas traditionally found in bifocals. One continuous lens with no visual boundaries can be used for distance vision, close reading, and everything in between. Nearly as important as the lens is what is applied to it. Anti-glare coatings reduce unwanted reflections from lights in your home, office, or oncoming headlights while driving. 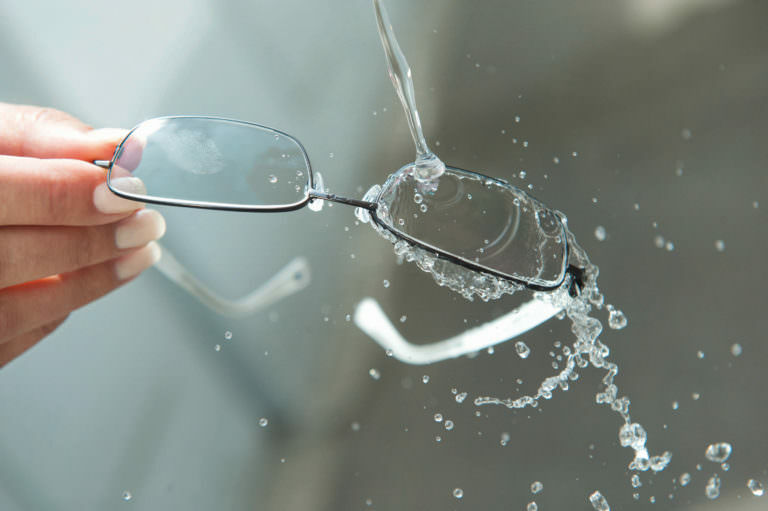 Other protective coatings combine repellence against dirt, dust, and smudges with resistance against scratches and abrasions to promote lens longevity. Photochromic coatings, meanwhile, allow you to use one pair of glasses for everyday vision as well as in the sun. We provide a complimentary case, microfibre cleaning cloth, and refillable cleaning solution spray bottle with each eyewear purchase. We also offer pre-moistened lens cloths for on-the-go cleaning and pocket-sized solution bottles for purchase. For keeping your glasses close at hand, chains that keeps your glasses secured to your neck are available in a variety of colours, materials, and lengths.